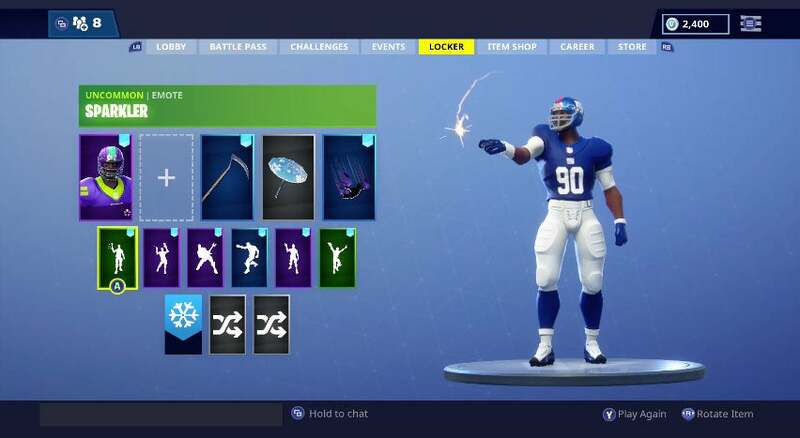 Last week we reported that the NFL was teaming up with developer Epic Games to bring all 32 team uniforms to one of the most popular video games in the world, Fortnite. The reasoning, it seemed, was twofold: current fans would be excited about wrapping their characters in the “skins” of their favorite players, and potential fans would be exposed to a beleaguered league that needs all the new viewers it can get. They stated the outfits would be available in the game's Battle Royale Item Shop starting Nov. 9, with no end date mentioned. The skins have now been removed from Fortnite’s online store, Epic Games announced on Monday via Twitter. But in the short time they were available -- items in the store cycle in and cycle out -- some unscrupulous players created sick, controversial scenarios utilizing the uniforms. Yahoo collected a rundown of what we’re talking about. There's Michael Vick, dog abuser, carrying a pooch. Aaron Hernandez, convicted murderer, with a gun. Jason Pierre-Paul, who damaged multiple fingers in a Fourth of July fireworks accident, playing with sparkers.